We specialize in customizing AV solutions that suit your space, budget and vision. We can custom tailor your system's implementation to address real time production situations by providing a solution that is appropriate yet easy to operate and maintain, without large staffing needs. All of this is done on time - and on budget. With each client, our process starts the same,it starts with you. It begins with a conversation about your goals, your message, and your audience. This focus on "you" helps us to better understand your event, so when it comes time for your show, you have exactly what you want. 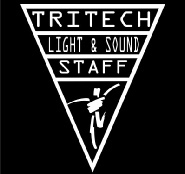 Tritech light and sounds has the experienced staff, the right audio visual equipment, and the technical know-how to handle even the most challenging of projects. Our state-of-the-art AV equipment, team of AV professionals and best-in-class service let you focus on your agenda and audience – instead of the presentation details. As your full-service presentation partner, our job is to make sure everything runs smoothly, seamlessly and professionally. Our team approach ensures your satisfaction – before, during and after your event – while saving you time and money. Product, technical and equipment specialists, our techs have the knowledge, tools and resources to help you achieve the most from your event. Today, audiovisual support is no longer simply a microphone and a flipchart. It now includes computer interfaces, high-definition imaging, rigging, power distribution, component video, special effects, concert sound and lighting, Internet and network services. Great ideas and planning alone can't deliver a final product. Our craftsmen and programmers work with clients to ensure your guests get the most out of your event and your message is made with maximum impact. 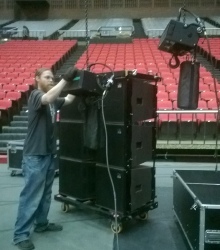 Tritech light and sound understands that having the right people ON the job can make all the difference. In today's media rich internet star world of pop culture, it's important to have a team that can keep your event relevant and push the boundaries of contemporary entertainment. When all is said and done, events should be impactful and fun. Entertainment is a key element to achieving those goals and we've got you covered when it comes to hosting and entertaining your guests. Having begun as a sound company over 25 years ago, Tritech light and sound has grown to become a key supplier in the events industry as a full service production company. It is our goal to provide the highest quality service to each of our clients whether the event is large or small. Our inventory of pro audio, video and lighting, allows us flexibility to accommodate events regardless of size or technical requirement. In addition to our product offerings, we have a committed and experienced staff willing to focus on whatever unique requirements your event may have. Tritech light and sound will be happy to attend your event and provide a full range of audio, video and lighting services. 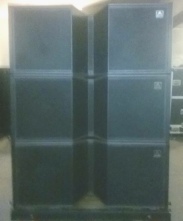 However, we also have a variety of sound system options available on a rental basis. We'll instruct you on how to operate the system then turn you loose to have fun on your own!